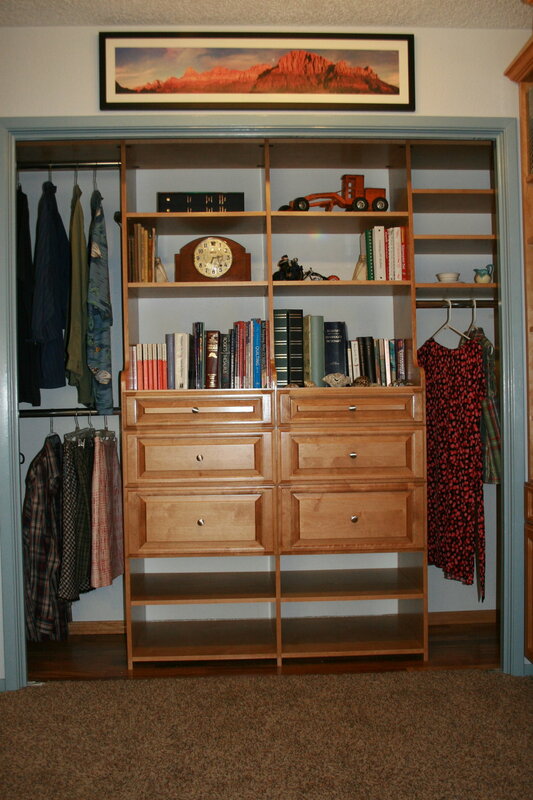 You'll be amazed at how much you'll be able to fit in your closet with our custom-designed closet organizer. Available in your choice of colors, as well as white or maple. Adjustable shelving, drawers, full-length pants hanging areas, pullout hampers, and belt and tie racks help make this unit a real knockout!